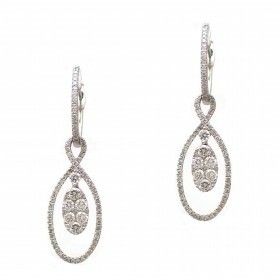 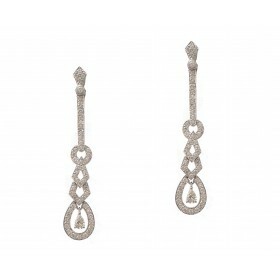 These exciting hanging earrings feature dangling pear shaped drops suspended from diamond hoops. 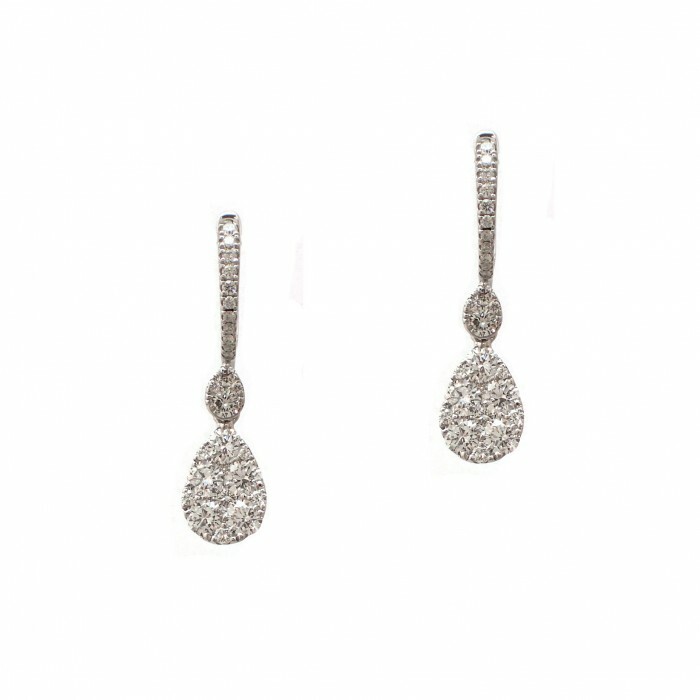 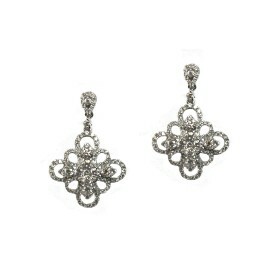 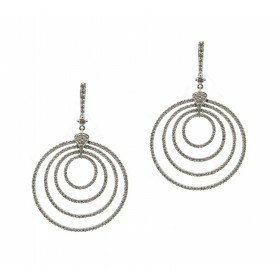 These are versatile earrings that can be worn daily or for a special evening out. 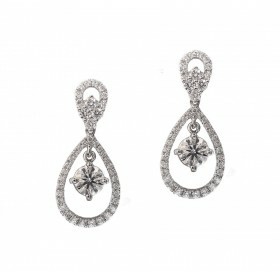 The cluster of diamonds present much more brilliance than a typical pear shape diamond.